1. Brush the pita breads with olive oil and toast them for a minute. 2. Spread the tomato sauce on top. 3. 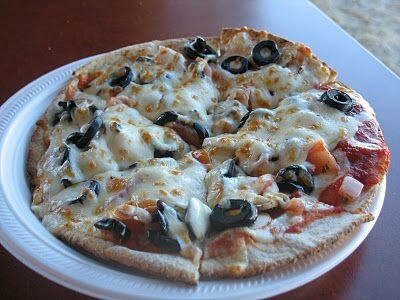 Arrange the sliced vegetables, cheese and olives on top. 4. Sprinkle with oregano, thyme and pepper powder. 6. Place the pita breads and cover with a lid. 7. Cook, covered, on low flame for 3 to 4 minutes. 8. Sprinkle pepper powder and drizzle with olive oil. 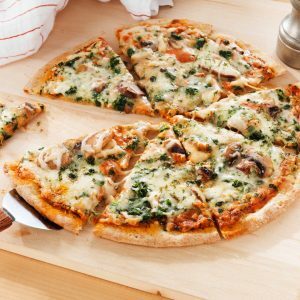 Feel free to comment or share your thoughts on this Vegetarian Pita Pizza Recipe from Awesome Cuisine.